Meet Ruby Wisdom. Smart and sensible. Humorous and heroic. Tough and tender. As the only private investigator in tiny Wormwood, New York, Ruby handles a wide range of cases—everything from jewel heists and cheating husbands to stolen wedding gowns, kidnapped artwork and fraudulent heirs. In HANDCUFFS & HIGH HEELS, Ruby is hired by the wife of a millionaire when the woman suspects her husband is having an affair. And he is—several of them. But when Ruby begins connecting the duplicitous dots, the deceitful spouse ends up in a much more difficult dilemma than being caught with his hands in Cookie’s jar. And that’s when the real investigation begins. 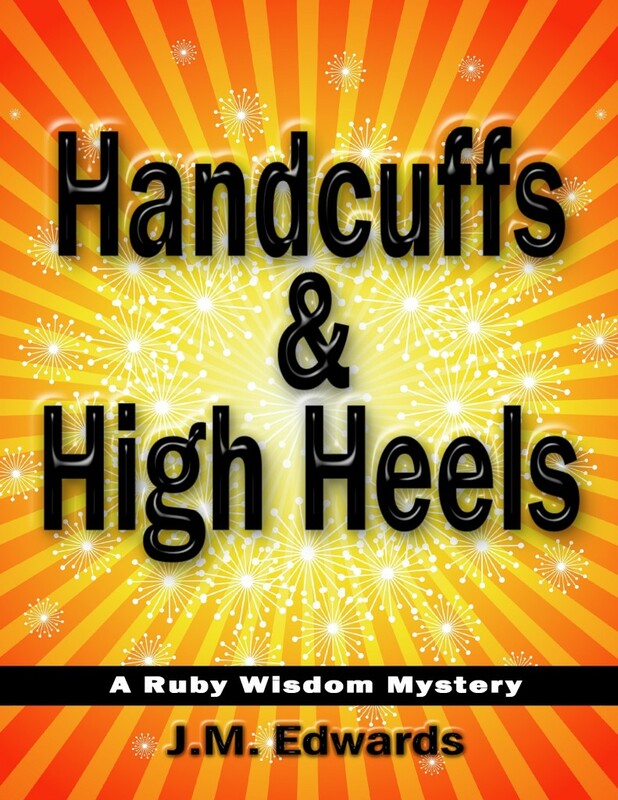 HANDCUFFS & HIGH HEELS is a cozy mystery loaded with humor, romance, memorable characters and a sleuth who knows her way around baked goods and sweet treats as well as crime scenes and tricky investigations.